1.Please allow 1-5mm error due to manual measurement.please make sure you do not mind before you bid. OCCASION: as a Simple style cosmetic storage box,ideal for any style of decor and looks great in the bathroom, bedroom, beauty closet, storage room,living room, dressing table,vanity countertop,display stand,cabinet etc. 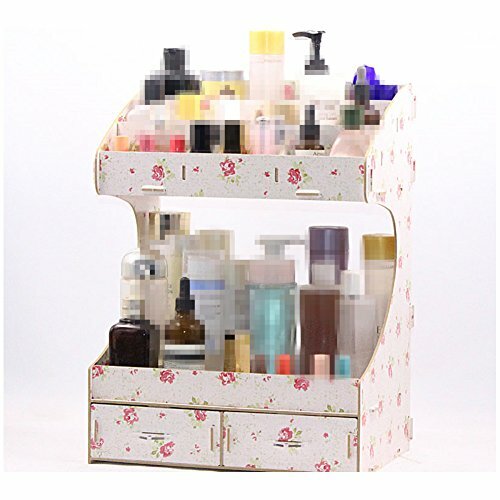 GIFT BOX Makeup Organizer- The cosmetic storage is the best christmas gifts, birthday gifts, anniversary gifts for your wife, girl friends, someone who loves make up or that special person in your life,they will be happy and thanks for your done. If you have any questions about this product by XICHENGSHIDAI, contact us by completing and submitting the form below. If you are looking for a specif part number, please include it with your message.